Yet another iPhone 7 leak points to the fact that we simply aren’t going to be able to get away from reveals between now and the official launch date. As we get closer towards an official Apple unveiling – slated for sometime in September – the reveals are becoming more and more in-depth, which is the case with this side-by-side comparison video of an iPhone 7 case against Apple’s current flagship, the iPhone 6s. Last week’s video-based reveal, which only ran for a matter of seconds, gave us an opportunity to have quick glimpse of the rear of a Space Gray and Silver iPhone 7, whereas this latest leak which is also accompanied by some leaked photos, runs for more than two minutes and gives a much better and more granular view of the purported iPhone 7 compared to the iPhone 6s, which is currently Apple’s main iPhone offering. The video itself does a great job of corroborating a number of design points that previously leaked information has alluded to. It immediately becomes clear that the redesigned antenna bands will be located across the top and bottom of the new hardware, rather than breaking up the design of the rear shell. The video also shows a noticeably larger camera module located on the top left of the iPhone 7 with the expected microphone and LED flash all present and correct. The color of the device also matches the existing Space Gray that some corners have suggested would be phased out with the next-generation iPhone. What may be of more interest to potential iPhone 7 owners is that the video clearly shows the lack of a 3.5mm headphone jack on the bottom of the phone. Instead, the space vacated by the headphone aperture is replaced with a second speaker grille to the side of the familiar looking Lightning port. This will no doubt increase speculation about Apple’s potential plans to bundle a set of wireless ‘AirPods’ in with the iPhone 7 come launch day. Of course the leak also confirms that the next-generation iPhone will be almost identical to the iPhone 6s in terms of its physical dimensions. 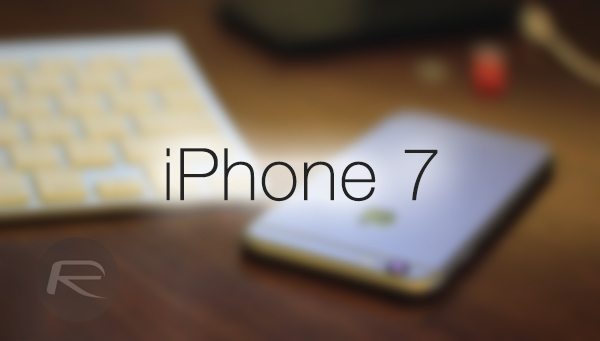 Both the iPhone 7 and iPhone 7 Plus are expected to be officially launched this coming September.